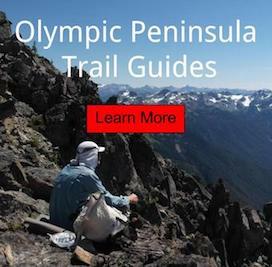 It is often a challenge for a hiker to know where the snow line is in the Olympic National Park. USGS has several SNOTEL sites scattered in the Olympic Mountains, which measure things like snow (on the ground) depth at 5,000' on average. However, they are generally all that the same elevation, so this does nothing for a person planning a hike at lower elevations. Being obsessed with the Olympic Peninsula and living here pretty much my whole life. I have become very familiar with the landscape in the interior. So I put together this visual guide by using the Hurricane Ridge Webcam. Hope you find this helpful!